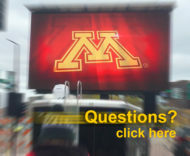 Over this past winter, we were working hard to create a new Jumbotron screen option to add to our fleet. So we chose to convert one of our smaller FireFly trailers into the brand new “FireFly SS.” For the FFSS we removed all of the Barco LED panels and replaced them with new Yes Tech LED tiles. These are the same tiles that we purchased for our new modulr screen company, Fire Up Creative, last fall. After working with these tiles, we loved how great they looked, and how well they would work on both indoor and outdoor applications, so we chose to switch out our old tiles. Along with installing the new LED panels, we also extended the trailer to create more room. 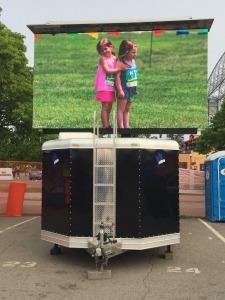 By extending the opening, adding to the frame, and adding a couple feet to the front of the trailer, we were able to make enough room for a larger screen. Not only is the screen a much higher quality and larger, it is now much closer to a true 16×9 format. With the extension of the trailer, we were also able to create a much larger control room inside the trailer. 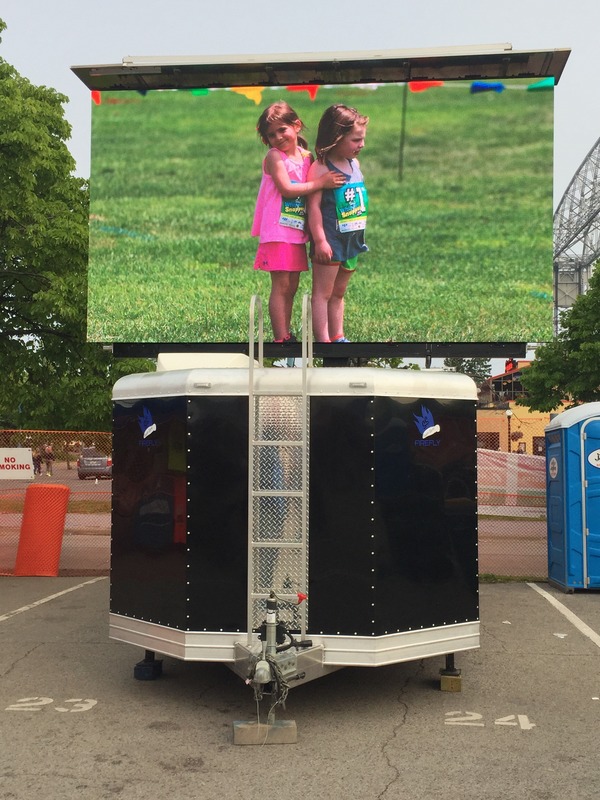 This allows us the ability to run a full show right on site in the trailer.